Your state’s Department of Revenue (DOR), Department of Motor Vehicles (DMV), Department of Public Safety (DPS) or Motor Vehicle Division (MVD) administers your written exam and your road test. 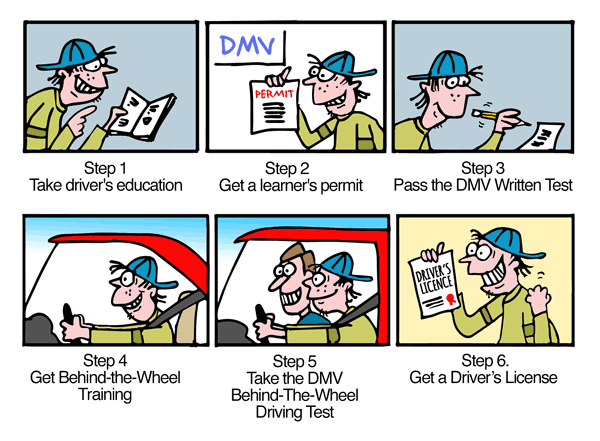 In many states, both teenagers and new adult drivers are required to take Driver’s Ed to obtain a driver’s license. Although driver’s education courses and training programs differ from one state to the next, completing a Driver's Ed course can help you prepare for your written exam, as well as your road test. Besides preparing you to take your driver’s tests, a Driver’s Ed course also teaches you the skills you need to be a safe, responsible driver. By completing a Driver’s Ed course, you are one-step closer to obtaining your learner’s permit. Once you have your learner’s permit, you can practice driving. This means you are well on your way to acquiring your first driver’s license. Even though some states may not require the successful completion of a Driver’s Ed course to obtain a driver’s license, these courses are beneficial for every driver.